Join us at one of our bi-monthly meetups to learn more about our what we do, contribute to a current project, or just snag some free pizza. Slack Team | Click here to sign up. All Code for DC events and activities, both online and offline, are governed by our Code of Conduct. Please take a few minutes to familiarize yourself with it. 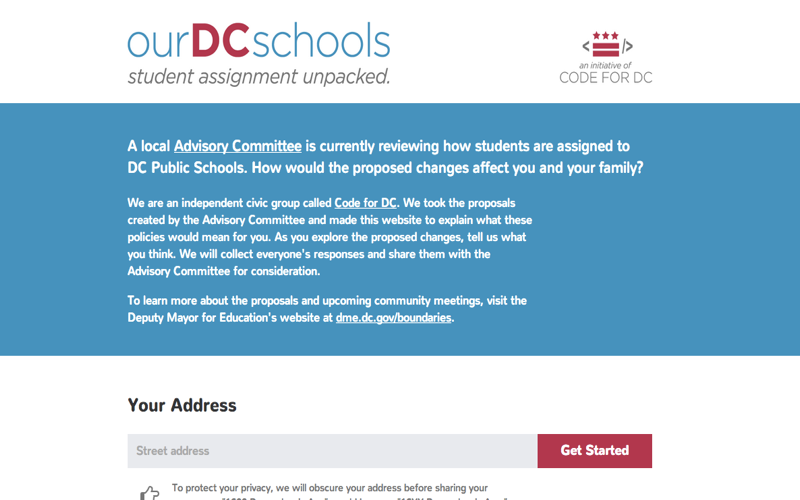 Code for DC creates tools, information, and experiences that serve the District. We kick off new projects every month. Browse the complete list, then get started. 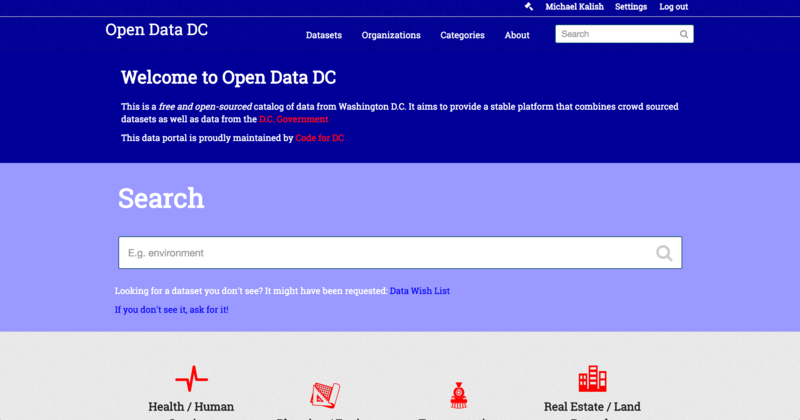 data.codefordc.org is a public data catalog for and by the people of Washington, DC. 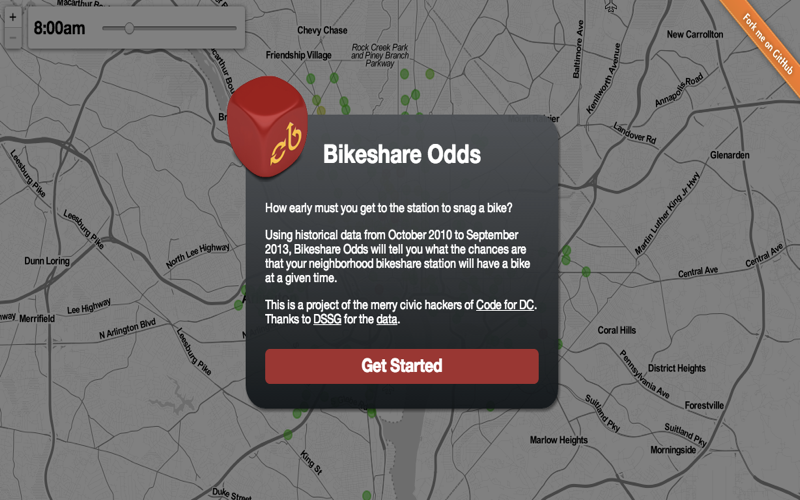 It complements the catalog maintained by the city government at opendata.dc.gov which houses official municipal data. Explore, upload, download and analyze! In collaboration with our local NPR affiliate, WAMU, we built a map to display the results of Washington DC's 2014 General Election. 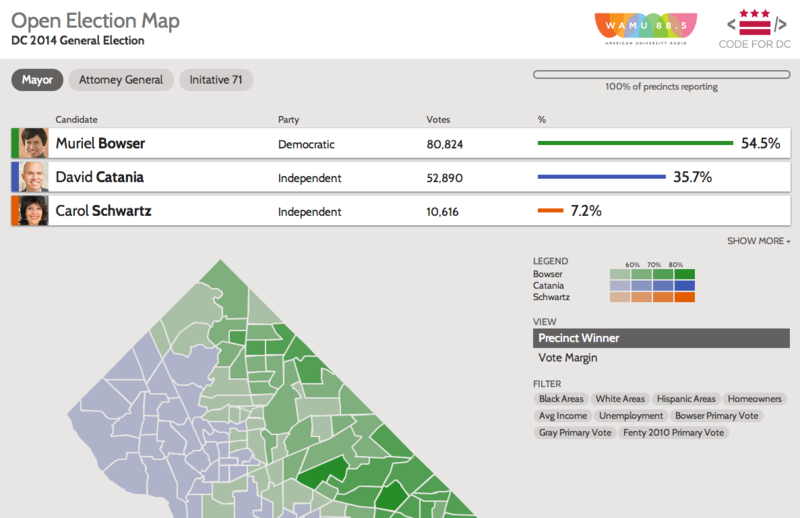 The map includes results for Mayor, Attorney General, and Initiative 71. 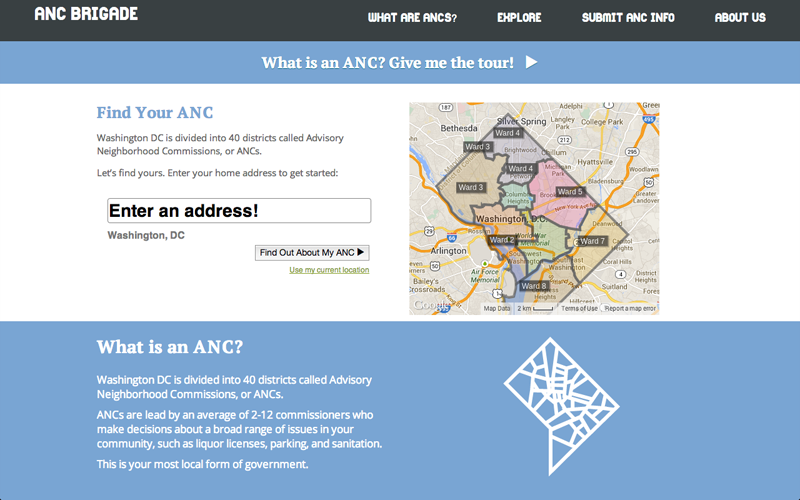 A project to explain DC's hyperlocal Advisory Neighborhood Commission system by pulling information scattered across the web into one place. ANCs make decisions that shape neighborhoods, but reliable information about them is hard to find. We aim to change that. Code for America is a non-partisan, non-political organization working to create low-risk settings for innovation between citizens and government. Learn more about Code for America's mission and its Fellowship, Brigade, Accelerator, Peer Network and Code for All programs.